Thank you for vis­it­ing BKClass.com. 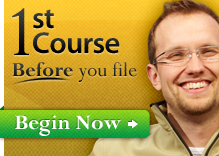 As a reminder, before you file for bankruptcy, take the required First Course (Pre-Filing Bankruptcy Counseling). 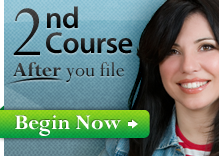 After filing for bankruptcy, take the mandatory Second Course (Post-Filing Debtor Education, also known as Pre-Discharge class). If you have any ques­tions about our bankruptcy counseling and debtor education certification classes, please com­plete the form below and we will be in touch with you as soon as possible.